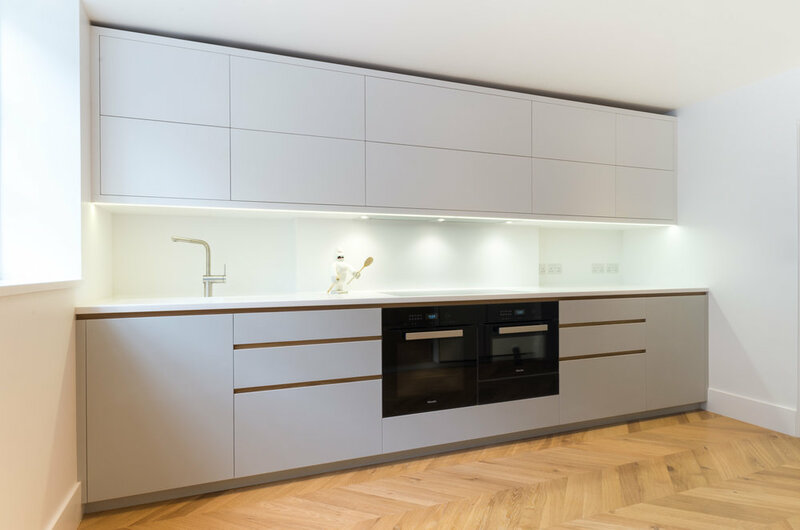 A bespoke basement kitchen for a busy family in the west end of London, this kitchen was designed with practicality in mind. 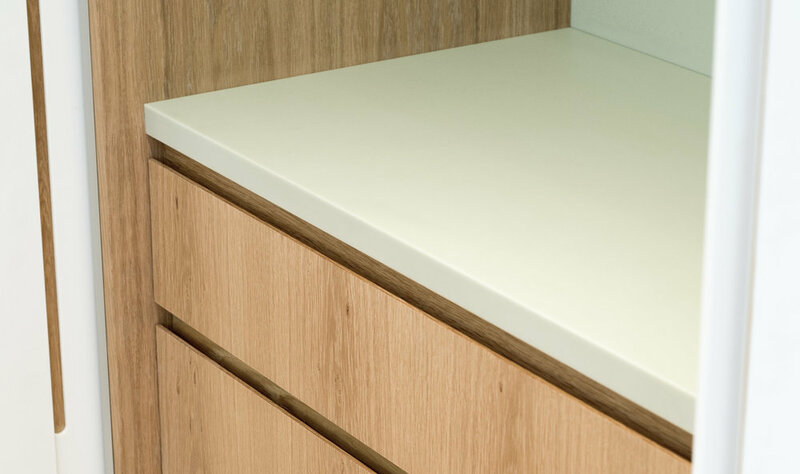 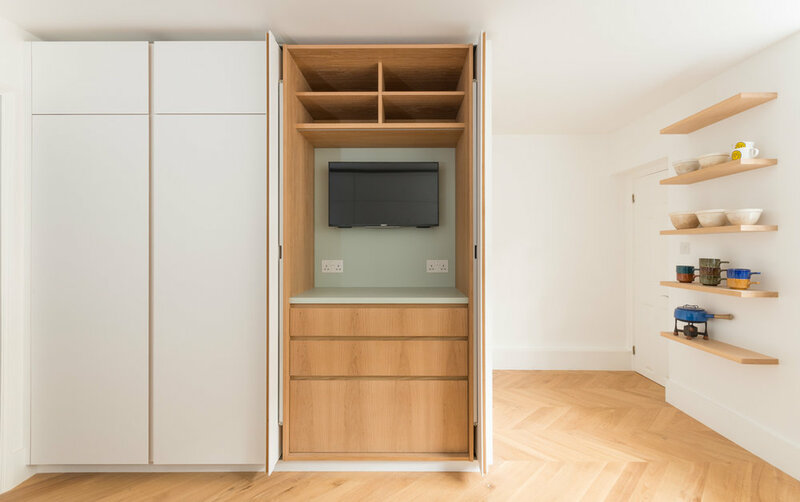 Durable, repairable solid surface materials were used throughout with solid oak and oak veneered detailing. 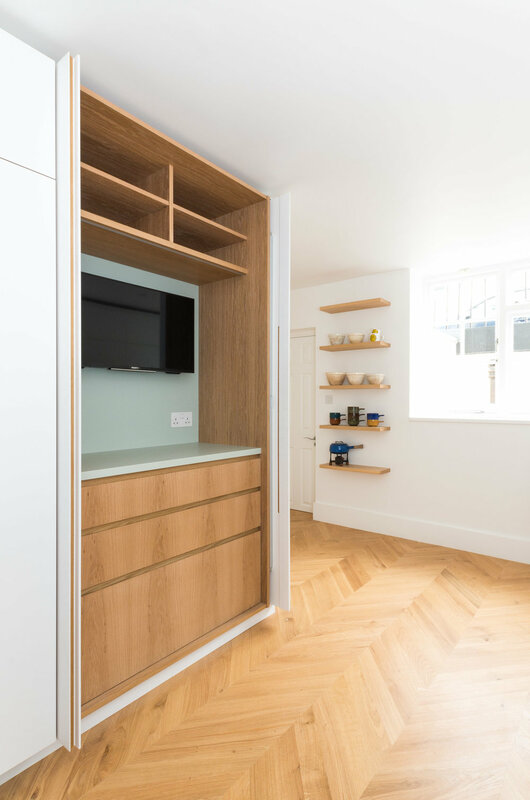 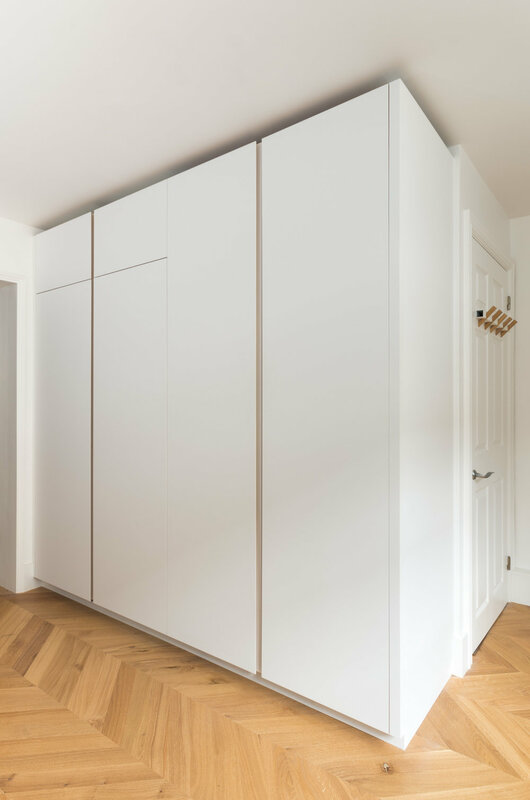 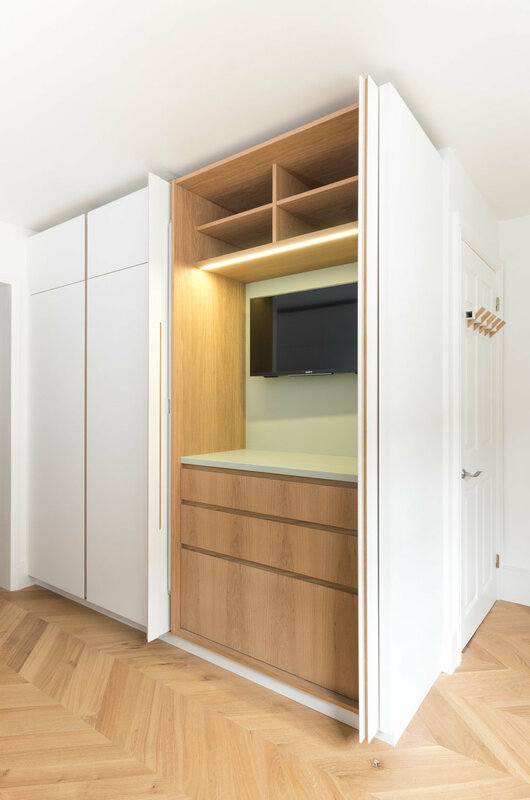 Opposite the flush mounted hob, two pocket doors open to reveal an oak lined pantry/tv area which brings warmth and interest to the clean minimalism of the rest of the kitchen.